Haru Kaido hasn't had the easiest life. And when his adopted brother, Ren, appears out of seemingly nowhere, things get even more complicated. 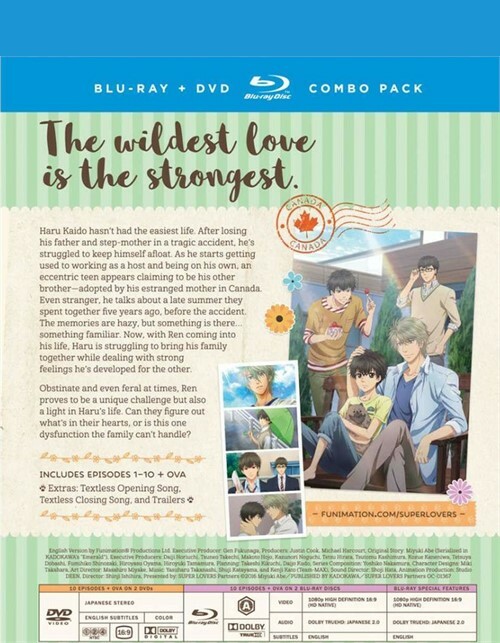 Between trying to remember a summer they spent together many years ago and helping him fit into the family, Haru must also deal with the feelings he's developed for the teen. Adapted from a popular serialized comic, this 10-episode animated TV series is an extremely rare import for US audiences. 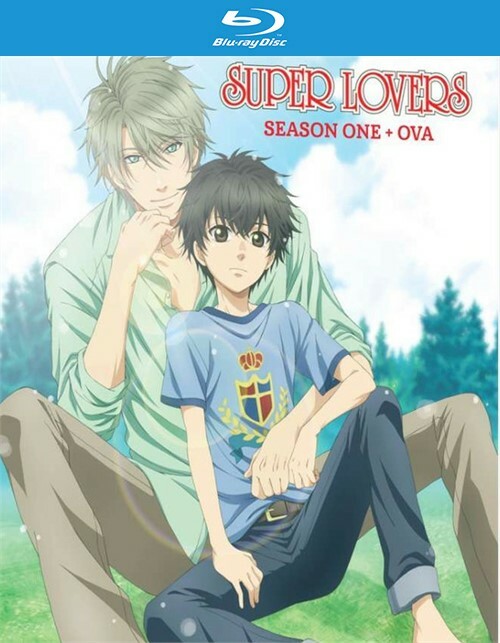 Super Lovers is about a taboo as animated shows get over here in the States. It's about an older teen who falls in love with his adopted younger brother. The comic - and now the show - have become so popular in Japan that a second season is being created. Length: 4 hrs. 35 mins.